We all have scars be they emotional, physical or psychological and they will all affect people in different ways. The emotions surrounding the physical scars can also leak over into the emotional and psychological and cause people significant self image issues and lower self confidence. Also in this study the results showed that women actually rated men with facial scars as more desirable for a short term relationship than men without scars. And for all of those self conscious women out there with facial scars the results also showed that there was no difference in attractiveness rating between women with facial scars and those without. A lot of research has been done in this area for the after care of people like burn victims or those with severe facial scarring. Often in the cases of these patients it can cause them to suffer from depression (between 13-23% of cases) or post traumatic stress disorder (between 13-45% of cases) and this obviously would have a knock on effect to their confidence (Van Loey & Van Son, 2003). Most studies about scars have focused on facial scars because obviously that is the area where everyone looks first and so they are going to be noticed the most. But it isn’t just facial scars that can cause people social discomfort. A survey performed in 2003 found a small but significant correlation between a scar being visible on any part of their body and how they felt they were perceived (Lawrence et al, 2003). More specifically people with visible scars felt that they were stigmatised, that people reacted negatively to their scars and that they were less attractive because of their scar. This just highlights the difference between what people believe about themselves and what other people actually think. If you have a scar you feel less attractive and are more self conscious but in fact the results show that if you have a facial scar it either makes no difference or makes you more attractive. 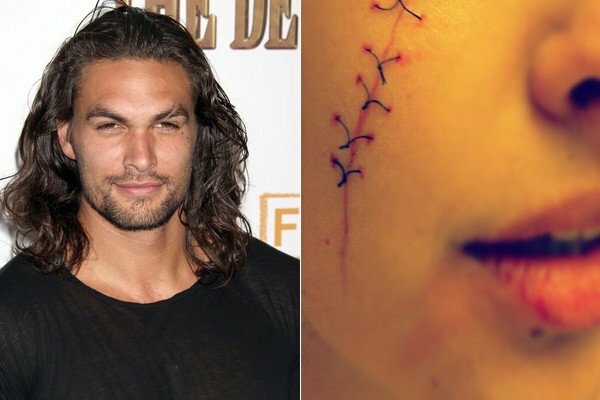 So if you have a scar that you’re worried about then think back to this article and remember that every scar tells a story and makes you a stronger person. I have a big scar , right in the center of my forehead , I cant d0 anything about it . Visited the best plastic surgeons as well. It makes me very uncomfortable and kills my confidence. I know this article aims at motivating people like me. but I am always looking to avoid people , my social life is gone. Don’t know what I could do. Love and relationship things . I had stop dreaming about them long time back. Why cant you do anything about it? What did the plastic surgeons say? Could you recommend the ones you went to. I was recently attacked by a dog in my face by my lip and nose three weeks ago. I am struggling emotionally and avoid social situations and people as well.